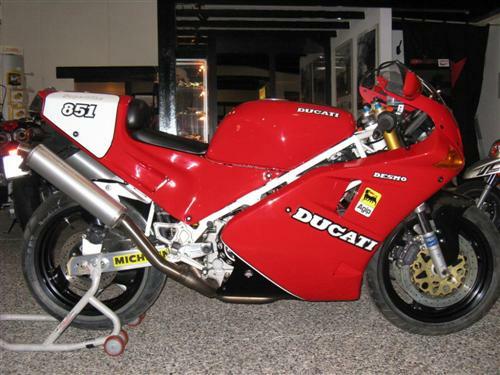 Located in Oslo, Norway is a one of eight (as the seller states) Ducati 999 F06 factory British Superbike race bike. 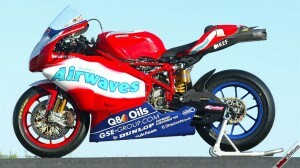 This bike was originally involved in the 2006 British Superbike Championship and was Gregorio Lavilla's number one bike. The seller doesn't list which races this bike was ridden in, but, Gregorio won several races finishing 3rd in the championship. The seller is the second owner--after the factory--and is asking somewhere around $90,000. 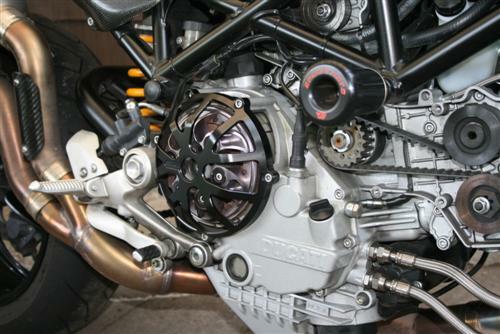 The bike comes with a good sized spares package including an extra engine. If you're in the market for a modern race bike, this might be the one for you--otherwise enjoy the photos. 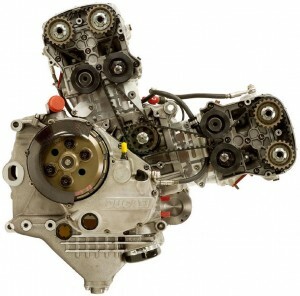 See the forum post on Ducati.ms here. 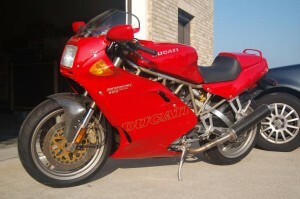 I am offering my 1991 Ducati 851 built as an SP3 Replica in hopes that it goes to another loving home. I bought this bike three years ago and put only 2.8 miles on it since then and have decided to sell it to fund my next Porsche street car. 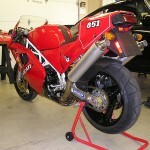 I bought this 851 from an authorized Ducati dealer and this was his personal bike. Before I picked it up he did a full service on it including valve adjustment, timing belts, fuel & oil filters, throttle body sync & Co EFI adjustment, fluids & coolant. I just put a new battery and fresh gas in it last week and took it for a ride around our neighboorhood. The sound of the (very expensive) Termignioni "Spaghetti" exhaust brought about every neighboor kid & teen waiting for me to get back in the garage with this bike. 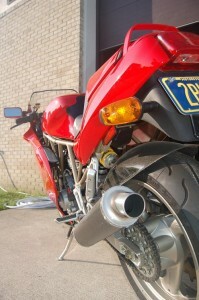 In addition to the rare and expensive exhaust it also has full floating cast iron rotors on billet aluminum carriers, Ohlins shock, Ducati SP3 fiberglass solo race tail section, Billet Brembo brake calipers, Front matching white # plate with painted silver & black clearcoated pinstripes (to match period correct Ducati logo), Period correct Ducati vented clutch cover, Black Brembo 5.5 & 3.5" wheels and probably some other things I have forgot. 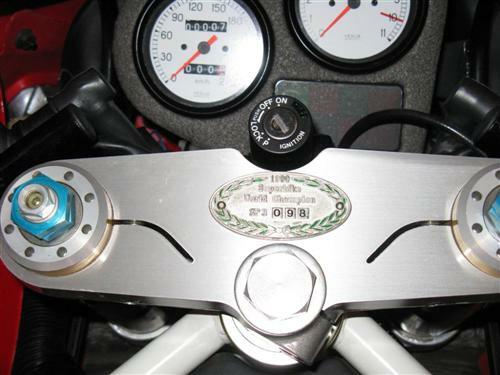 The 1991 851 has a lightweight aluminum fuel tank which also makes this a desireable year. 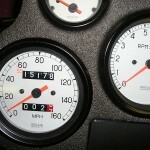 As I proofread my opening paragraph writing this post, I had to laugh out loud at myself because I'm actually trying to suggest there's enough difference in the 851/888 series of models such that it requires some debate. I have no doubt the 888 SPO is the tops and 'the one to have'. But as they say, I wouldn't kick an 851 out of bed either. And this one in particular is loaded and good miles. A couple questions for the readers: How big a difference is the 851 compared to the 888 to you? And is all out rarity and top spec the most important thing to you, or is all out performance -- like if we introduced 748/916 variants in the mix for similar money? The 851/888 Yahoo Group is a must. I subscribe and lurk just to learn from their expertise. 1997 Ducati 900 SS/SP with less than 1k miles! 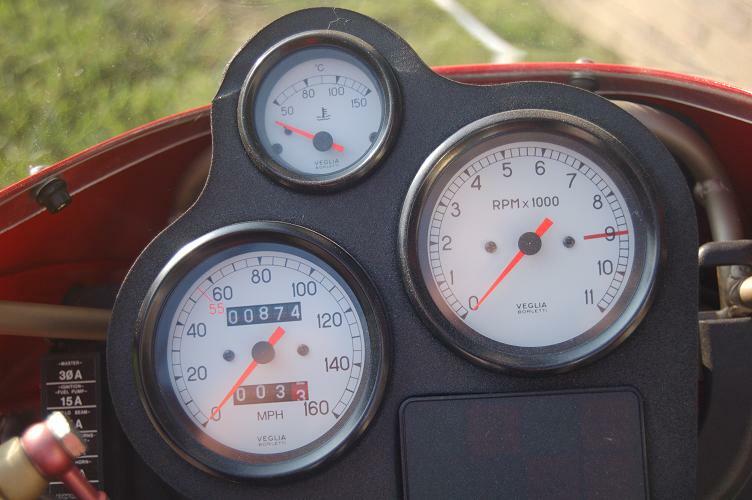 Less than 4 tanks of gas have gone through this bike, with fluids changed regularly even when not in use. I don't know about you guys, but if I walked into the dealer today and saw this brand new bike in the showroom for $5400, I would buy it! This is a bargain, especially since the cheapest model you can buy today will probably set you back nearly $9k! Good luck with the sale Andrew! If you have a bike you'd like to list on our blog, email me! Extended 5-year warranty transferable to new owner (good through 5/2013). Front fairing and passenger pegs included. Also have a new (still in the box) Power Commander III that I would include for an additional $210. 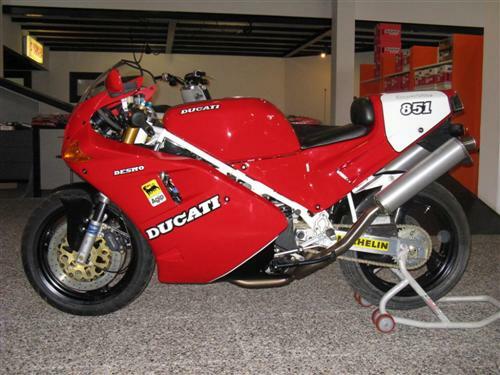 QUESTA MOTO, OLTRE AD ESSERE MOLTO RARA (PRODOTTA IN 700 ESEMPLARI) CREDO SIA UN PEZZO UNICO!!!! Google Translate tells me that this bike has never even been registered. Currently the auction has 3 days to go and is at 10,000 Euros currently. I can't say enough about this bike. It has been a great bike but unfortunately has made it's way to the back of the garage and this bike deserves to be on the road or shown in shows or as a museum piece. I've never ridden it in the rain and it hasn't been ridden much at all in the past few years. I've had it on the Dyno within the past two years and it was still pumping out 100 horses. 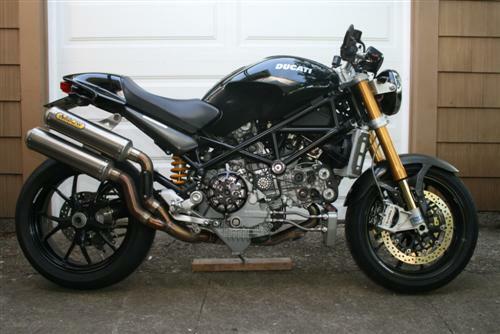 Great running bike and has the best transmission of any Ducati I've ever owned. Bike has had several upgrades, such as tinted windscreen, Corbin saddle, O-Ring Chain, Upgraded EPROM, Carbon Fiber Tank Protector, Carbon Fiber Front Fender, Carbon Fiber Rear Hugger, Newer Style Pegs, Vented Clutch Cover and front sprocket cover, almost new tires. 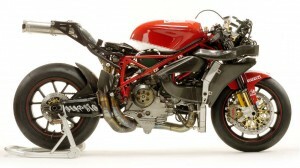 The cannisters have been "cleaned out" a bit and the bike runs and roars like a true Ducati should. I will also send with the bike the Pitbull Rearstand, original front and rear fender, and extra rear "box" that has been cut down, and all other original parts that I can find. I believe I still have the original EPROM, Seat, Rear Fender etc. If I have it, you'll get it. A few years ago the bike do fall over on hot pavement (Kansas summer heat and fresh asphalt). It didn't do too much damage, but did tweak the left clip-on (I ride it this way with no issues), scratched the back of the mirror and rubbed the part of the fender by the front left-hand turn signal. It is an easy fix with a little filler and some paint. The bike's paint on the side panels were redone before the show to have the AGIP stickers put below the clearcoat along with the black along the bottom to make it look like a factory racer. All other paint looks great for a bike of that age as does all the other parts. 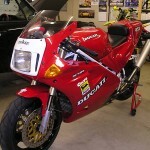 In 2000 this bike won the Ducatifest at Eureka Springs, Arkansas. It was a great event and very well attended. 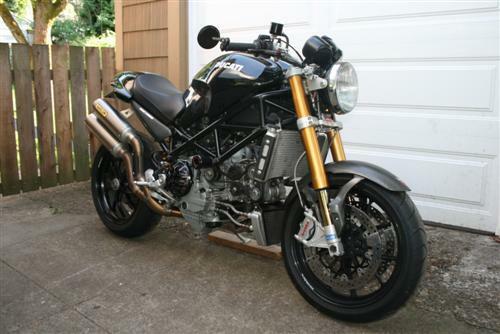 Looking at previous 888's listed on this blog, the buy-it-now price on this bike $8k seems about right. The listing is very honest about condition and it sounds like it is well sorted with common 851/888 modifications. Starting bid is $5k, so there is quite a margin in between. I'll be curious to see where it ends up.